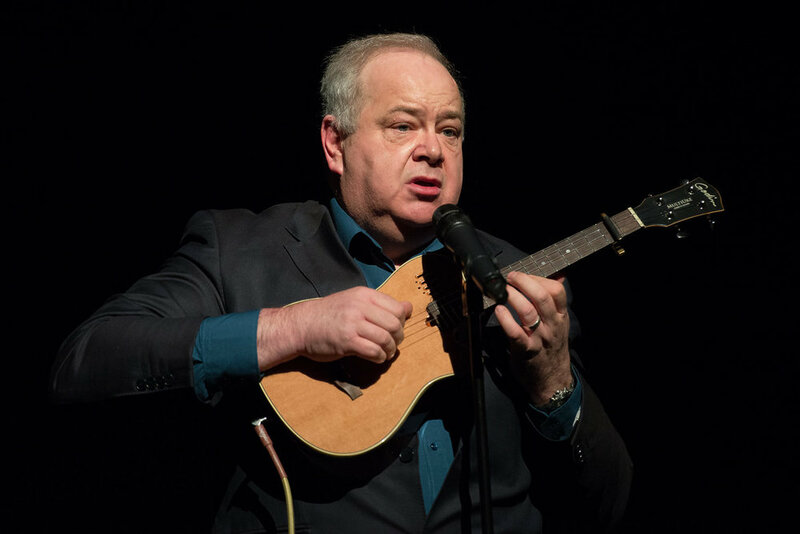 John Archer visited our shores in between dates on a comedy tour of the U.K. with Tim Vine. John performed and lectured at the Texas Association of Magicians and also stopped by my home the night before to enjoy a martini or two. While here, he regaled us with some impromptu playing of his ukulele. The next day before the T,A,O,M, conventinn began, we sat down for a wonderfully enlightening conversation about many things including him being the first to “fool” Penn & Teller on their show when it was broadcast in the U.K.
John Archer on great form on Dave's One Night Stand! 00:03:59 - Enjoy a couple little ditties on the ukalele performed impromptu by John Archer at my home during Magic and Martinis Thursday. 00:10:46 - John talks about comedy, music, working theaters in the U.K., creativity, Penn & Teller Fool Us, and more. 01:16:17 - Product Review: “Luck Of The Draw” by Liam Montier and Big Blind Media is a clear, three-way change bag with one set of randomly numbered raffle tickets and two two different force sets. Clever idea and recommended. 01:19:06 - Product Review: “Mouth Coils” by Jan Kosters from Holland. Well made, 62 foot coils with video and PDF instructions. Recommended. Click on the graphic to visit the Penguin Magic website and download John’s Penguin Lecture. Click on the graphic to visit ThePerfectTrick.com and find out how to receive FREE Magic! Tagged with John Archer, Tim Vine, Steve Martin, Derek Delgaudio, Penn & Teller Fool Us. October 4, 2018 by Scott Wells.